GridCast: live and behind the scenes of grid computing: So what is 'Extreme Citizen Science'? 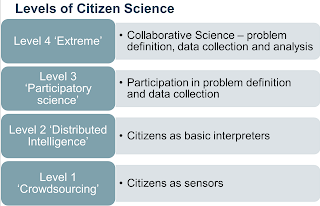 So what is 'Extreme Citizen Science'? 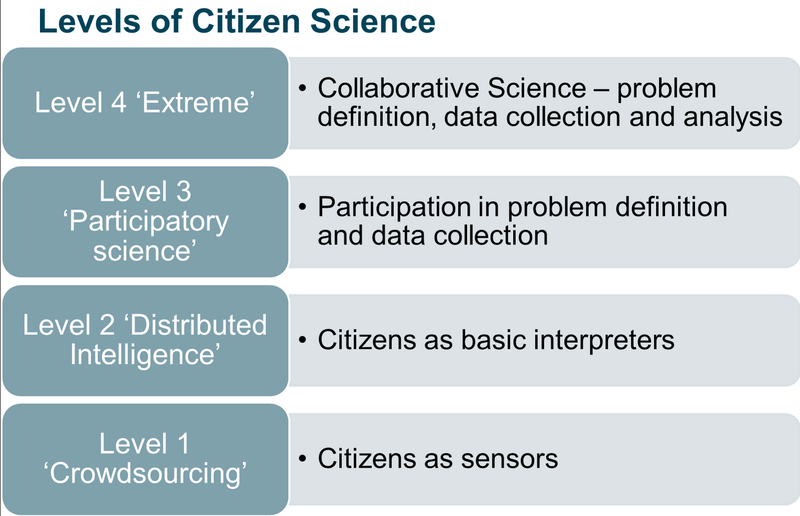 How does EXTREME citizen science differ from the traditional Citizen Science approach? Yesterday's final session was delivered by CCC Summit co-sponsors - University College London’s interdisciplinary ‘Extreme Citizen Science’ (ExCiteS) research group - which launched their exciting project in April last year. ExcCiteS co-founder, Muki Haklay (professor of geographic information science), explained that extreme citizen science is about enabling any community around the globe to start a Citizen Science project that will help them deal with issues that concern them. exCiteS have been collaborating with a number of communities - from housing estates in London to hunter-gatherers and forest villagers in the Congo Basin. We'll cover more about their activities later today! ‘Extreme’ in this context means extremely collaborative science which is where a community identifies and defines their own problems, and collectively find a solution (via data collection and analysis) using adaptable scientific tools and methods. With this innovative and pro-actice approach, scientists can take full advantage of both public knowledge and creativity. ExCiteS aims to take Citizen Science to the next level (see table below) encouraging a wider participation and providing a set of tools that can be used by any user, regardless of their background and level of literacy. 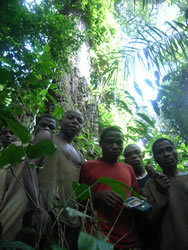 One project, developed by ExCiteS Jerome Lewis, a UCL Lecturer in Social Anthropology is supporting conservation efforts in both the Congo and South Cameroon by supporting local forest communities to better represent themselves to outsiders. Jerome has helped the local communities describe their issues and specific problems via simple and easily translateable tools (such as maps and icons) and hand-held devices (e.g. GPS instruments). Forest -based villagers have been able to isolate, prioritise and map out sacred resources thereby mediating conservation efforts so forestry companies can avoid destroying local resources. Data collection devices are now a reality, but unfortunately the marginalised and poor still remain side-lined. Analysis tends to be dominated by scientists and we need to develop analytic tools accessible to all citizen scientists in order to realise its potential. Methods for motivating and ensuring effective participation is crucial but those groups most in need of support are still largely excluded for example: rural, semi or non literate, and people living in vulnerable communities.